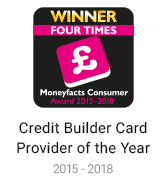 * To build your credit rating and to be considered for credit limit increases, use your card sensibly, stay within your credit limit and pay your monthly minimum payment on time. Not doing so could harm your credit rating and make obtaining credit more difficult. Received a Vanquis access code in the post? We could accept you too! We help people who have been turned down for credit elsewhere. We provide a sensible way to stay in control of your money and we offer a responsible and reliable financial service. We are a UK based company that is part of the Provident Financial Group which was founded more than 130 years ago.